As the first bearers of the WWE Women’s Tag Team Championship, Sasha Banks & Bayley have vowed to defend their titles anywhere against anyone. 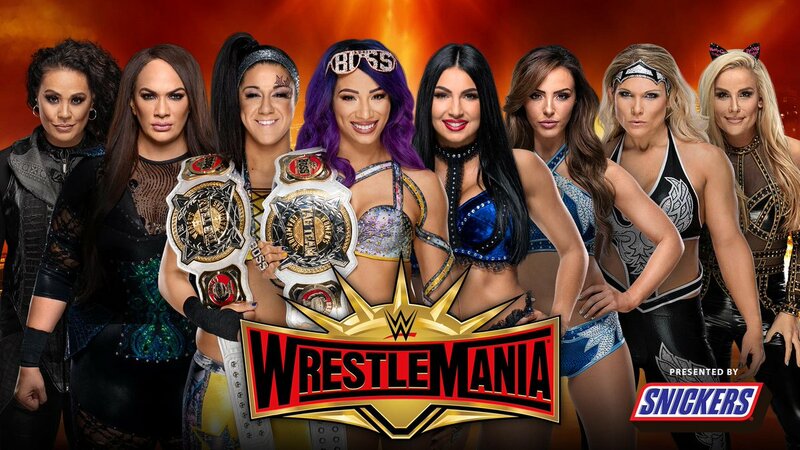 And at WrestleMania, they will indeed face just about everyone when they square off against the up-and-coming IIconics, the dominant Nia Jax & Tamina and two Superstars who helped pave the way for the Women’s Evolution, Beth Phoenix & Natalya, in a Fatal 4-Way Match. The Boss ‘N’ Hug Connection made history by outlasting five of WWE’s best female tandems in a grueling Elimination Chamber to become the inaugural champions, and they followed up that emotional triumph by overcoming Nia Jax & Tamina at WWE Fastlane in their first title defense. Together, they have thrown down the gantlet to all potential challengers as they set out to prove themselves as fighting champions and establish a proud legacy. However, at The Showcase of the Immortals, legacy itself will be standing in their way. Known as the “Divas of Doom” when they teamed up several years ago, The Queen of Harts & The Glamazon ran roughshod over their fellow Superstars during a dominant run just prior to the Women’s Evolution. The other six Superstars will undoubtedly have their hands full against Natalya & Beth, who used an impressive range of painful submission holds to fold their opponents like accordions during their first go-round as partners. If that wasn’t enough, the match will include the ultra-dangerous Australian tag team of Billie Kay & Peyton Royce, who not only have the natural chemistry that comes from having known each other since high school, but have also proven themselves to be the real deal week in and week out. The deadly Australians even claimed a non-title victory over the champions on the March 19 edition of SmackDown LIVE. Without a doubt, WrestleMania could prove to be their moment of destiny. Although Nia Jax & Tamina came up short against Bayley & Banks WWE Fastlane, they made the titleholders suffer in a brutal post-match assault that allowed them to walk out as anything but losers. They reminded the WWE Universe and their fellow Superstars why they are dominance personified and stand as the near-perfect combination of power and ruthlessness. 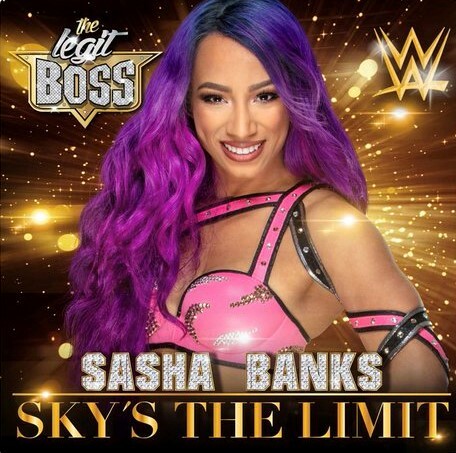 Although the intimidating combination did not etch their place in history as the first titleholders, they have made it clear that they will stop at nothing to become the definitive champions on The Grandest Stage of Them All. Will Bayley & Banks have what it takes to overcome the past, present and future? Don’t miss WrestleMania, Sunday, April 7, streaming live the award-winning WWE Network at 7 ET/4 PT! Tamina Snuka and Nia Jax attack Bayley on the floor and then they attack Sasha. After the match, Beth goes after Nia and Tamina kicks Beth. Beth with forearms to Tamina followed by the Glam Slam. We are back and Sasha Banks and Bayley are walking in the back and they are stopped by Charly Caruso. She asks them about what is going to happen at Wrestlemania. Sasha says they would take on any team, any brand, any time. They will take them all on . . . at Wrestlemania. 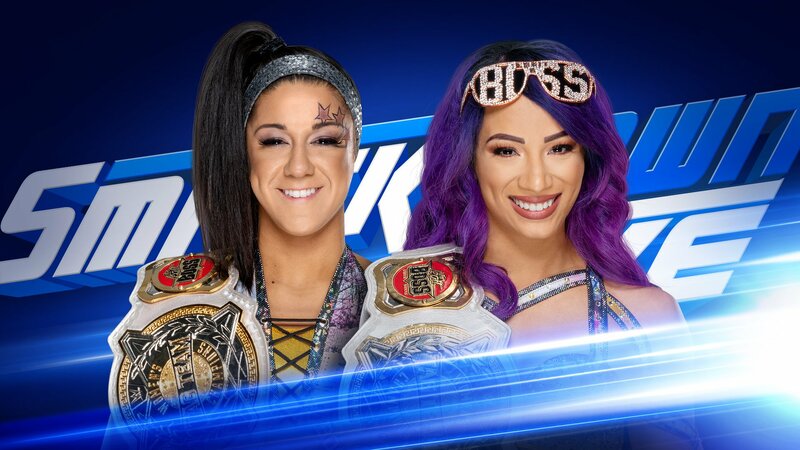 For weeks, The IIconics have been calling out WWE Women’s Tag Team Champions Sasha Banks & Bayley for showing up everywhere but SmackDown LIVE since becoming the inaugural champions at WWE Elimination Chamber. The Australian Superstars accused the titleholders of ducking them. 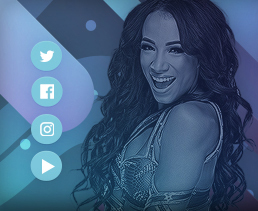 The Boss ‘N’ Hug Connection have heard enough from Billie Kay & Peyton Royce, as they revealed on Raw that they’ll be in the house on SmackDown LIVE tonight. 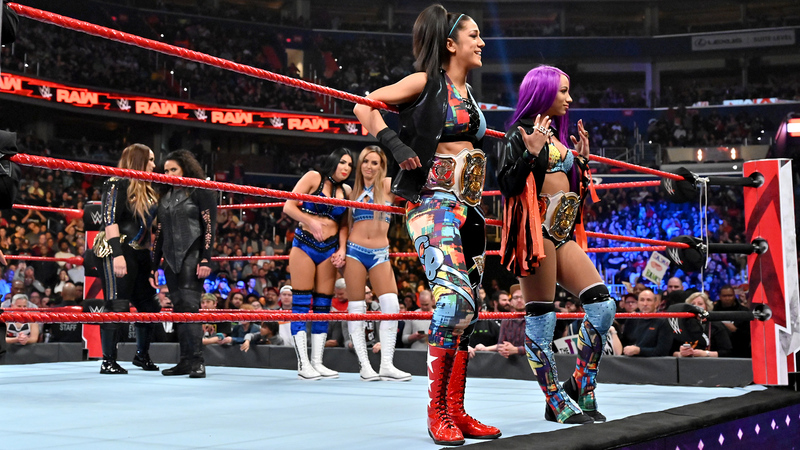 Will The IIconics stick to their words, or will Sasha Banks & Bayley make them regret every one of them?